How to Replace ringtones On Android – How To Change Ringtones On Android – tips which I will share this time so make me dizzy operate at a time when first time android . I can only change the tone of the call alone . But because I feel like to know more about the features and functions embedded in android . So I get many – times read the manual on doos book is already available and there was I did not get that way as I want . This way without having to root or change other settings . 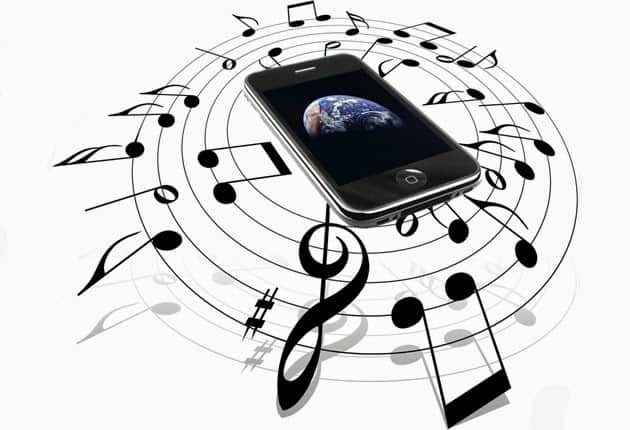 Here are tips and ways are : Change your ring tone : This method is hidden when the user is less observed . By replacing or using default android music player . We can directly choose what song we will make the call ring tone : steps – steps : Go to menu > Music > Play the songs that made ​​the tone will then pause > Click on the option menu > Set as ringtones.Dan friend can try to make a call directly to number using the HP friend buddy pal . Or use another way is by using a file explorer or better known as my file menu if your android Indonesian language . steps – steps : With open File Explorer > Media > audio > ringtones and create folders , save files to be created in the tone of the ringtones folder with a format readable by your android such as : WAV , MP3 and others – others . For how to set the ringing tone you select the lived Settings> Sounds > Ringtone Phone > Automatic pal files that have been saved in the same folder will be read in the ringtone selection menu in the settings . Changing the Message : This method is very necessary , because if we do not do as was done in the first step or how to change the ring tone , then the tone menus are legible in the default phone settings menu only just . It’s very boring , we can not change the tone with our heart’s content , but in this way will be more flexible and pal indefinitely at will change the tone of the message buddy . Steps – steps almost the same as the first: Select Menu > File Explorer > Media > Audio > Notifications folder store fatherly tone of your message . usually the folder already exists automatically. If no then my friend had to make it manually . For setting the tone of the message simply select the menu Message > Press Options > Settings > Select Ringing tone , usually located at the bottom of the last menu of options – the other option . And you also had been able to see my friend list already saved tones in Notifications folder . Hopefully useful … yes ! This way I try on Android Version 2.3.6 and work 100 % . Good luck !